This is photo #19 (of 50) in a series about our life in Brazil. At our fresh food market you can buy the ingredients for a “Romeo and Juliet” snack. 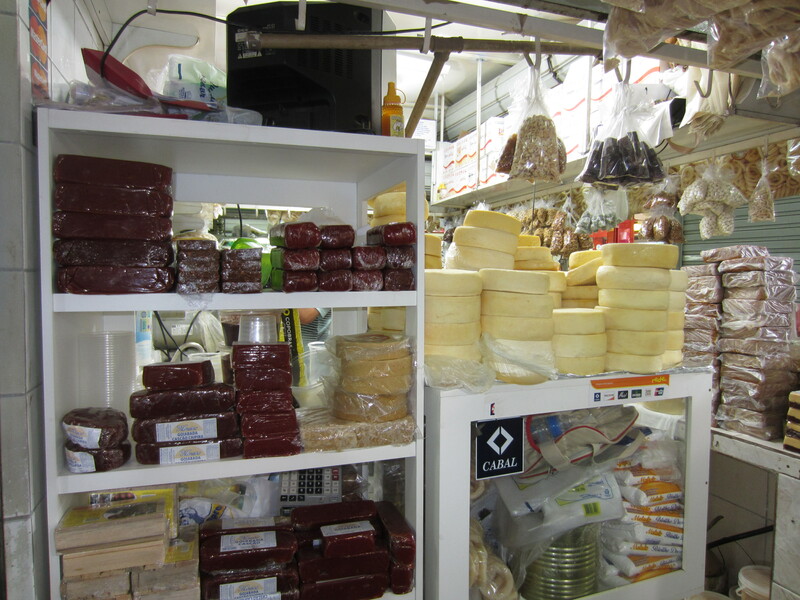 It consists of a thick layer of guava paste (goiabada on the left) and a thick slice of mild cheese (Queijo Minas on the right). Supposedly the perfect marriage of two flavors.